As your clients approach retirement and begin to feel the weight of mounting decisions and deadlines, expect to encounter planning insecurity toward Social Security. Thus, given its outsized stature in the retirement planning of most Americans, volumes of information continue to accumulate around Social Security. Go to the program’s official website and you will discover screens after screen of content and resources. Visit a local library and you will find scores of reference books packed with program facts and planning considerations. What are the eligibility details? What are the important strategies to know? Those questions merit answers. But how much information is too much? Wading through all the “whats” of Social Security – the details, the assumptions, the strategies – may be counterproductive. Some of it may relate to a client’s situation. A fair amount may not. There may however be a way to approach this that is easier to manage and makes more sense. You see, sometimes, it’s not the “whats” but the “whens” that matter most in addressing such a complex topic. Knowing the “whens” of Social Security means focusing on the specific information most relevant to a client at their specific age or retirement stage. Adopting this approach frees clients and their financial professionals from having to “drink from a fire hose” in an attempt to assimilate all the voluminous details of the program. No client needs to know every consideration for every age all at once. Instead, hone in on what matters most … at the upcoming pivot points most relevant for this juncture in your client’s retirement path. 62 is the earliest a worker can receive a Social Security retirement benefit. The benefit will be 75% of the full retirement age benefit. For workers born 1955 and later, the early retirement benefit will be less than 75%. The minimum is 70%. 62 also is the earliest a spouse can receive a Social Security spousal benefit based on worker’s earnings history. Benefit will typically be 35% of worker’s full retirement age benefit. For those born in 1955 and later, the spousal benefit will be less than 35%. The minimum is 32.5%. 66 represents full retirement age for Social Security purposes for workers born 1945-1954 (inclusive). Each year thereafter full retirement age increases by two months, until capping at age 67 for workers born in 1960 and later. 66 likewise is when a spouse can receive a maximum 50% Social Security spousal retirement benefit. At the same time, it’s also the age at which a worker can file and suspend his or her own benefit, permitting a spouse to receive a spousal benefit while the worker continues to earn delayed retirement credits. And 66 is when filing a restricted benefit becomes available. Doing so allows the higher earning spouse to receive a lower earning spouse’s retirement benefit (restricting the benefit to the spousal benefit and not claiming their own retirement benefit) while earning delayed retirement credits on their own record. The benefit is 50% of the lower earning spouse’s full retirement benefit. The lower earning spouse can be receiving own retirement benefits before, at, or after full retirement age. Lastly, age 66 in when a reduction in Social Security benefits due to excess earnings no longer applies. For younger clients, say in their early 50s, triggers that are still a decade off hold little interest. Keep their planning manageable. Concentrating on information related to their age range is simpler and easier to digest. Perhaps a general understanding of the difference between early, full and late retirement would build awareness of the need to commence more comprehensive planning. Likewise, if a client is older, a different set of planning assumptions is relevant. Narrow your focus to the actionable planning opportunities that remain available for someone their age, such as not delaying the start of benefits beyond age 70. 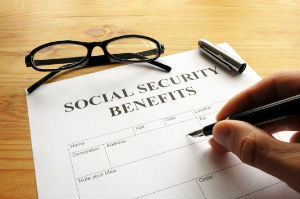 These scenarios and takeaways are just starting points for Social Security claiming considerations, pertaining to only a few ages. But as you can see, synthesizing planning points this way makes it easier on your client and you. It means you needn’t be a walking Social Security encyclopedia. And your client doesn’t have to be encumbered by facts, details and strategies of limited relevance or urgency. Timelines and trigger ages spur awareness and action. As a consultative partner in your client’s financial future, you can help unlock some of the intricacies of Social Security by focusing on the “whens” of the program rather than every “what” involved in it. A good place to start is a section of SocialSecurity.gov dedicated exclusively to helping financial professionals. The Social Security Administration describes it as “a valuable resource in helping your clients plan for retirement or other life events.” Check it out at http://www.ssa.gov/financialplanners/ and begin to build your Social Security know how. Source: Social Security Administration, Jan. 2014. 1 Office of Management and Budget, Historical Tables: Budget of the U.S. Government, FY 2014. Important: The information presented herein is general in nature, is provided for informational purposes only and should not be construed as legal or tax advice. Western & Sothern Financial Group member companies do not provide legal or tax advice and cannot guarantee that such information is accurate, complete or timely. Laws of a particular state or laws which may be applicable to a particular situation may have an impact on the applicability, accuracy or completeness of such information. Federal and state laws and regulations are complex and are subject to change. Changes in such laws and regulations may have a material impact on pre- and/or after-tax investment results. Western& Southern member companies disclaim any liability arising out of your use, or any tax position taken in reliance on such information. Always consult an attorney or tax professional regarding your specific legal or tax situation.